A scorching hot day, the track was dry and very dusty. 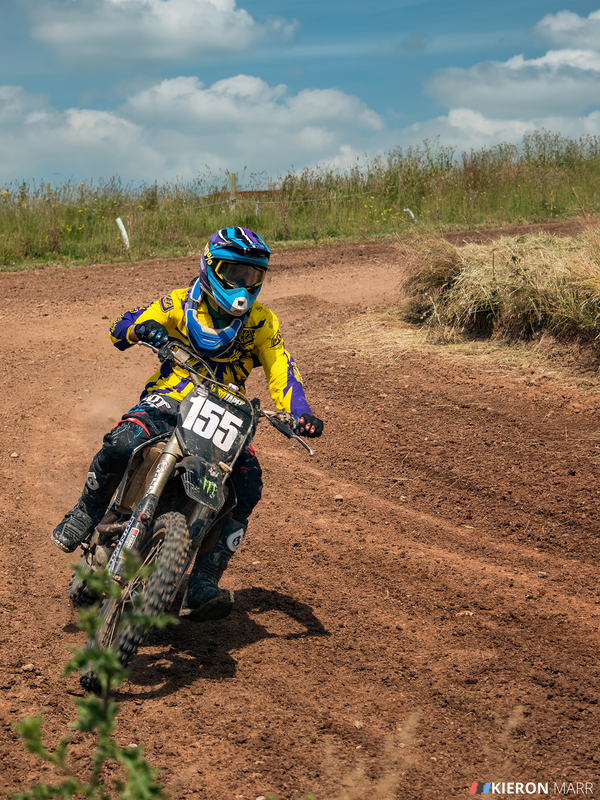 Yarley Motocross track was host to a pretty large turnout event that a few friends were competing in. 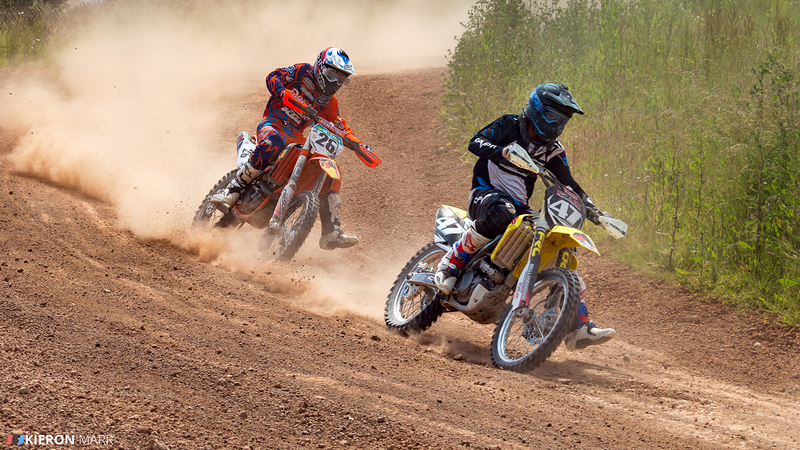 What better way to spend a hot day in June than out in scorching heat getting a face full of dust and dirt. 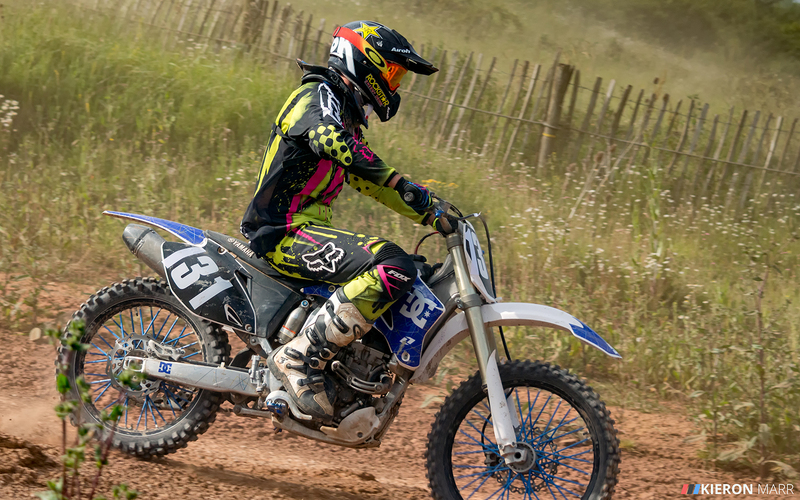 Yarley MX track is an ex British Championship track which comprises of steep hills, drop offs, banked turns, ski jumps and tabletop. 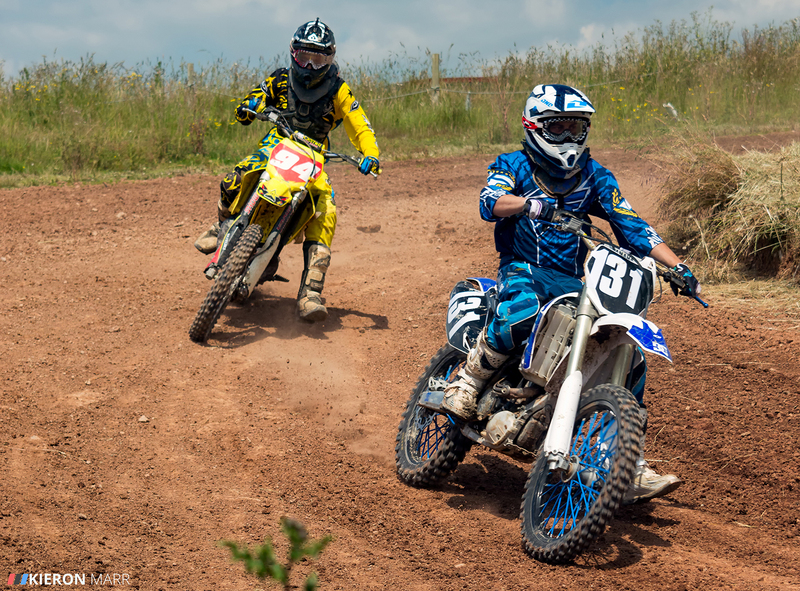 This is a track for a more experienced rider, not a beginner. I’ve ridden a few motorbikes in my time with varying degrees of fail! 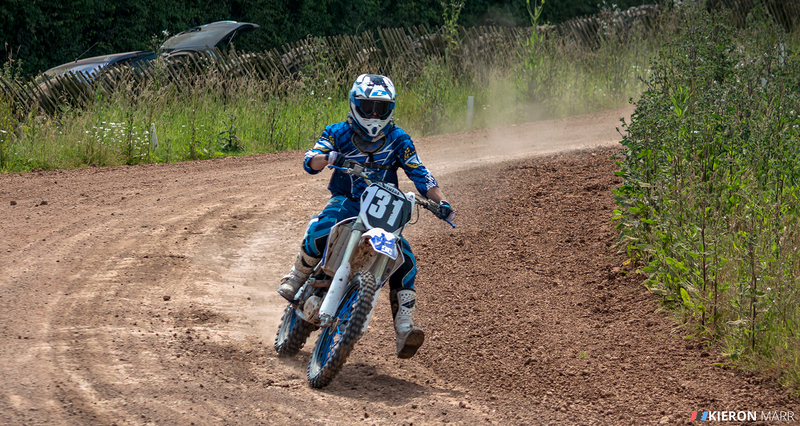 There was no chance I was getting on this track unless it was with my feet firmly on the ground and a camera in my hand! First thing I learnt from the day’s shoot was preparation really is key! 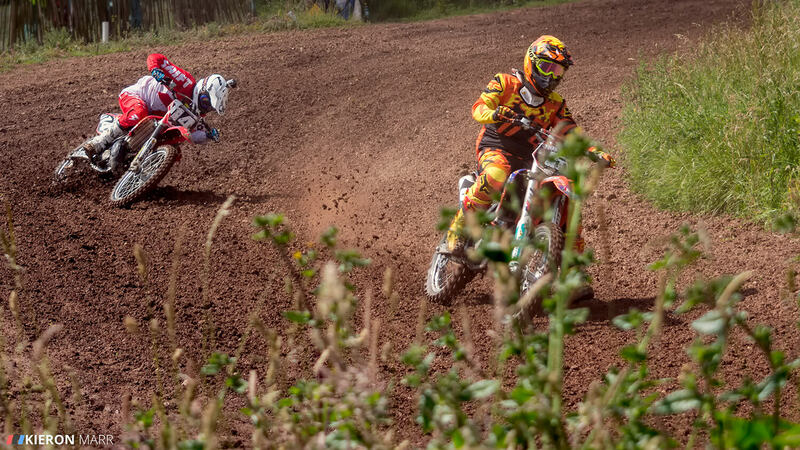 I’d never been to Yarley motocross track before. I had absolutely no idea where I was and wasn’t allowed, whether I could get any closer to the track or where the best spots were for me to catch those winning shots. After we’d set up camp I took this opportunity to stake out the track. 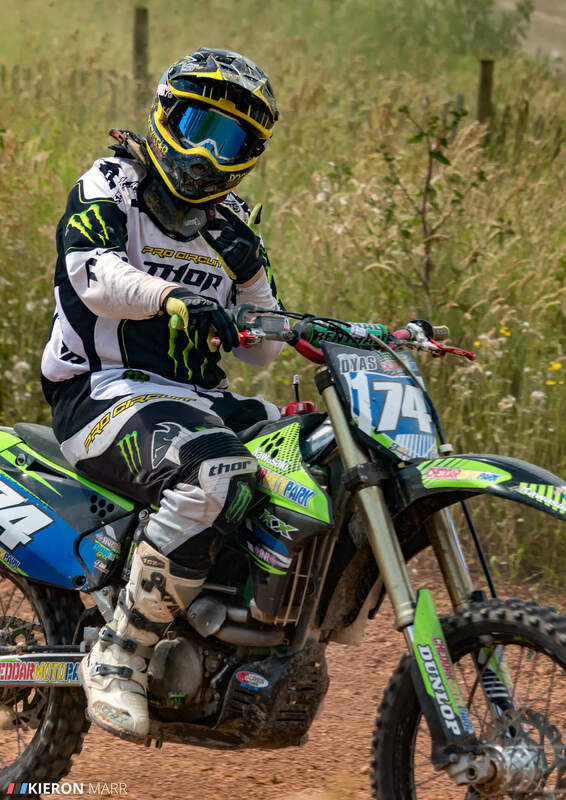 There where a few spots that I knew I could get to easily and could potentially get the action shots I was looking for. Firstly was the back of the course. It had a few twists and turns, was clear of people and was close to the track. This was my opportunity to get nice and close to the action. Secondly was the next part of the track which was a jump into a massive descending slope. This was where I was looking to capture some in air shots. At the bottom of the slope was a big banking corner in the hope of catching multiple riders all sliding round the corner to gain the upper hand. The next part of the circuit was the riders chance to pick up the pace a bit before moving back onto more technical parts of the track. I was hoping to be able to catch some fast paced action over the tabletop. 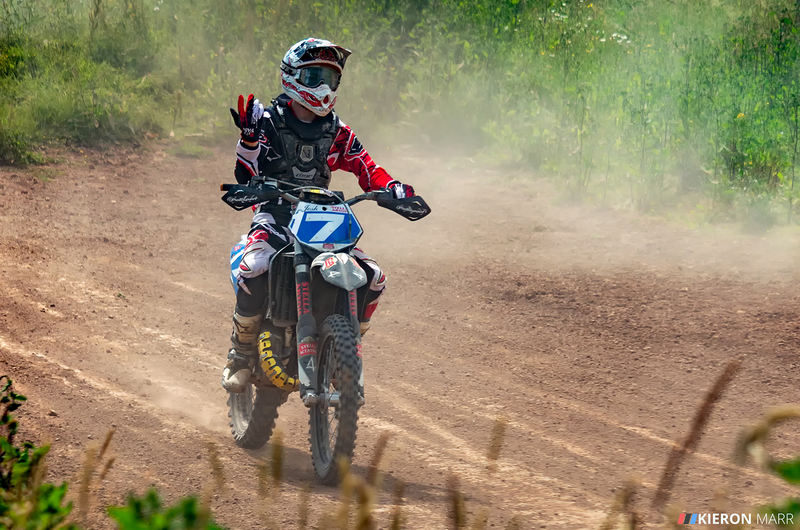 After preparing the bikes (and my camera of course) it was time to head down to the track. I packed two lenses and my Nikon D3200 which I originally purchased as a kit package with the 18 – -55mm Nikkor lens. I chose the Nikon Nikkor 18 – 55mm f/3.5-5.6G VR II Lens for it’s versatility in both a wide-angle and short zoom. Also, a new addition to the kit bag, the Nikon Nikkor 55 – 300mm f/4.5-5.6G VR lens, which I had specifically bought for this occasion. This was in fact the first real test with the 55 – 300mm lens. I knew I wasn’t going to be able to get too close to the track so knew I would need the additional zoom at some point. We headed down to the track to see the practice laps in full swing. The first few rounds I tried with the 18 – 55mm but quickly realised I needed a better quality lens and the ability to zoom. After reviewing the first few shots I found I wasn’t getting the action stopping photos I wanted. I wanted to capture the action but keep enough of the movement there to show the speed and action as well. It was back to the base camp to get the crew ready to ride. By this time I’d taken enough tester photos and found my settings for a few different situations that would occur. I also got this picture of the team mascot. 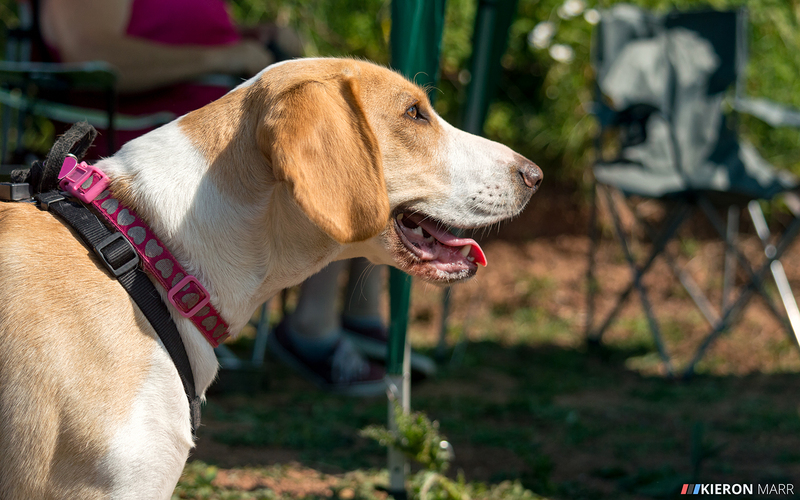 Lola the Beagle. The rest of the day flew by. It was a lot of fun and I took nearly 1000 photos. I was baked from the sun, covered in dust and was ready to get home and review the days shots. 733 photos, sun burn and 8 hours later, I was done. 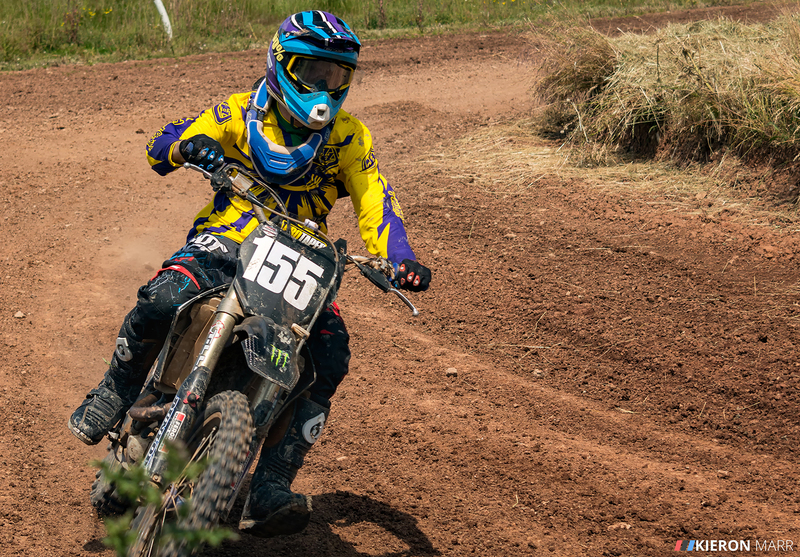 I learnt a lot about action photography, especially after importing them into Lightroom. After much deliberation and trial and error I decided on the following photos. Looking through the photos I released that the amount of dust was a problem in most of the photos. Also, getting the riders focused and capturing the action in a perfect still picture was very difficult. There where a lot of photos that suffered badly due to slow focusing and motion blur. Regardless of this, I really enjoyed the day and came away with some photos that I was really impressed with. These two photos were taken at the bottom of the track at the bottom of the jump and decent. I especially like the action captured and the dirt being kicked up from the tyres. There’s also a little blur in there which still gives the shots the feeling of motion. Kicking up dirt and sliding around! The next two photos are the same photo but cropped differently. The different crops give the photo a completely different depth and style. Similar to the previous photo, this next one was cropped to focus in on the riders. This is Ryan. He caught me out in the crowd so did a pose to the camera! This next photo is my buddy Luke just cruising past me. I’m really pleased with the details caught in this one. This photo is one of my favourites. I love the action captured and the dust behind the riders. The extra details of stones caught mid flight as they where being kicked back by the rear wheel look aweosme.